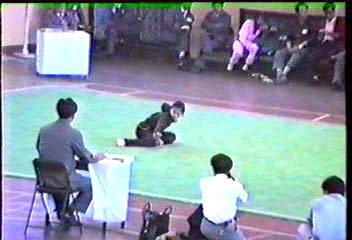 The beijingwushuteam.com Archive Series presents professional level contemporary wushu competitions from China from the past 25 years. 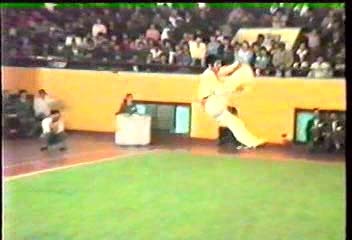 See classic wushu performed by the most famous champions! 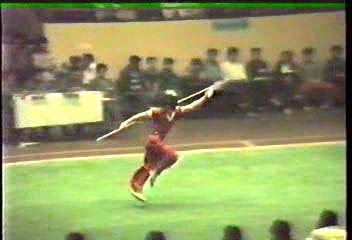 Wushu has evolved and changed a great deal over the past decades, this series of VCDs allows you to see and appreciate the athleticism, artistry and martial skill of classic wushu athletes of the 70s, 80s and 90s. 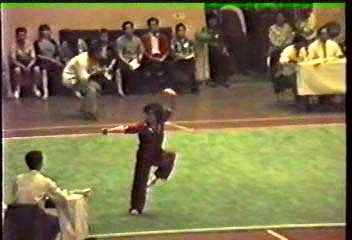 Competitions of this type are rare and not to be missed by any true fan of contemporary wushu! Check out this page for trailers, screen captures and content information. The list of athletes on the discs is incomplete, currently only Beijing Team members and a few other famous athletes are listed, we are working to identify more. If you recognize anyone not listed, please send an email. Note: Due to the archival nature of the material, this disc may contain static, color shifts, pauses, distortions, etc. This is an artifact of the analog sources, not this disc or the system it is played on. 1985 China Nationals Complete Set - TEMPORARILY SOLD OUT! 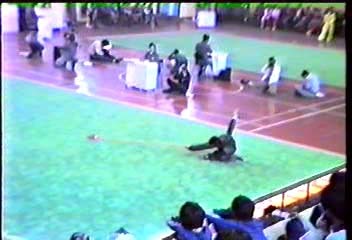 1985 China Nationals Volume 3 - TEMPORARILY SOLD OUT! 1985 China Nationals Volume 4 - TEMPORARILY SOLD OUT! We have online ordering for domestic and international orders through PAYPAL.COM . If you don't have a paypal account it's FREE, secure and easy to set one up, then you can pay using your credit card. Click on the 'add to cart' button for the discs you are interested in purchasing and then click on the 'view cart' button at the bottom to check out and complete the purchase. 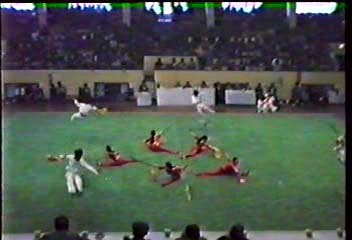 This competition, held in Yinchuan, Ningxia Province in 1985, is presented on four discs, available seperately or as a set. 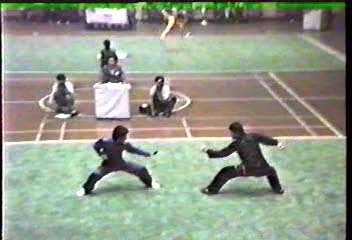 It features men and women competing in nearly every hand style and weapon available as well as sparring sets and group sets! 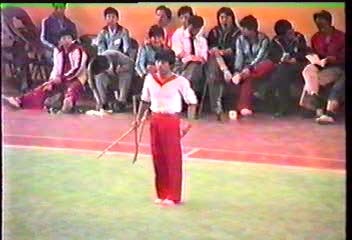 This event is a catalog of the richness and diversity of "old school" wushu that is rarely, if ever seen in current wushu competition. Many of the champions featured on this series have gone on to become famous coaches around the world, here is a chance to see them competing at their prime. 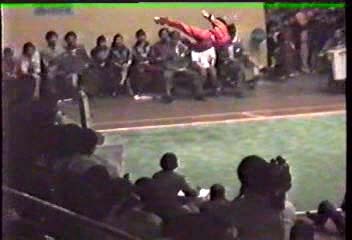 Click here for a partial list of competitors and events on these volumes. 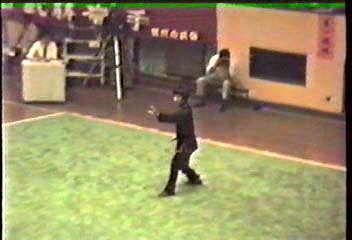 The video quality is generally equally good on all four discs - occasionally some video is color shifted green, but is still rather clear. 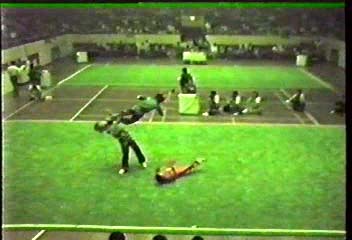 During the group sets and other far away shots, sometimes the action on the carpets is a bit dark, but still very watchable. 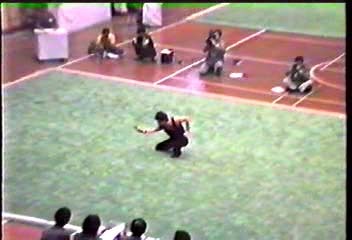 Click here for a partial list of competitors and events on these volumes. What is a VCD? 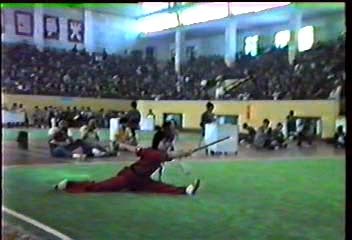 Video CD, a common alternative to video cassettes in Asia, allows up to 75 minutes of video per CD, quality is considered about the same as VHS. 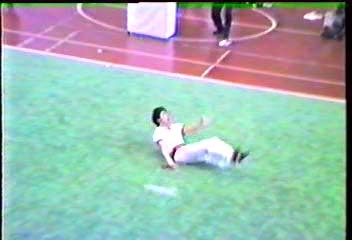 These videos are standard PAL VCD format - 352x288 PAL, 25 fps, MPEG-1 encoded, 1150 kb/sec, recorded on a CD-R disc. Is this product related to the Beijing Wushu Team? No, although I am a big fan, to the point where I have created the 'beijingwushuteam.com' website, this product is not related to the team. As I am a fan, the Beijing Team athletes are the ones I talk about the most! 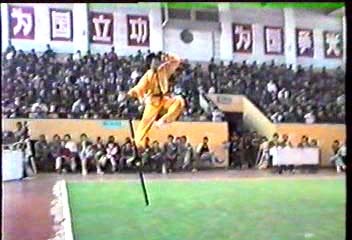 Where else can I get old school wushu VCDs? 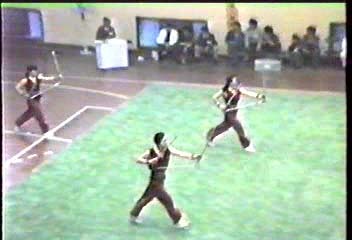 Try The Wushu Center's rerelease of the classic Beijing Wushu Team Instructional Series from 1983.